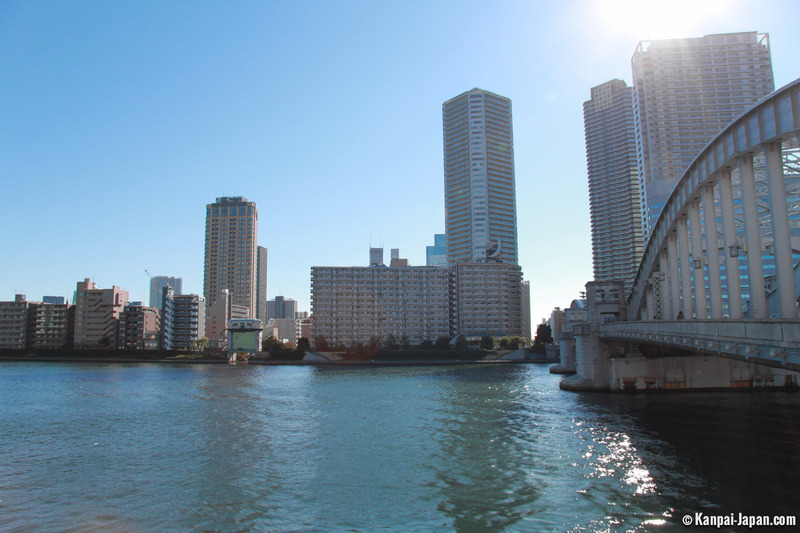 When traveling in the japanese capital, it's impossible not to cross the vast Sumida River (Sumidagawa) flowing down eastern Tokyo. 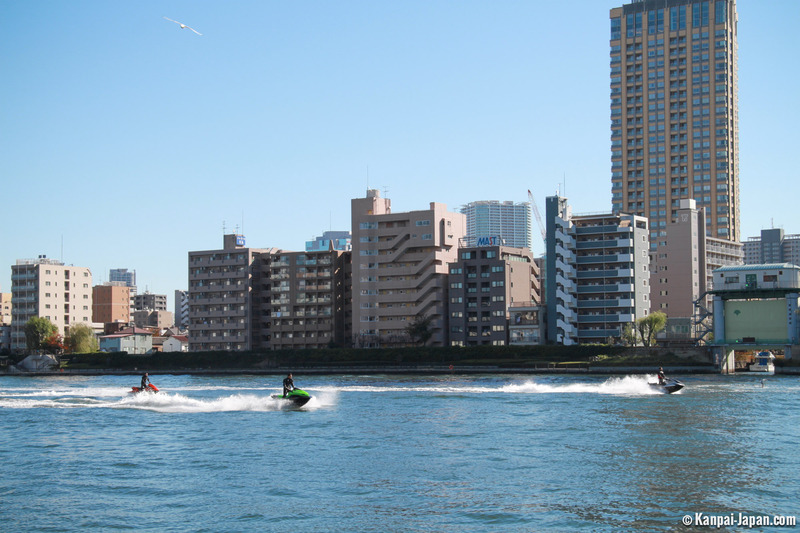 Along several stations of the Yamanote line (from a few hundred meters), Sumida river can be appreciated in Asakusa and Ryogoku, up to Hama-Rikyu gardens and Tsukishima where it flows into Tokyo bay before arriving at Odaiba. 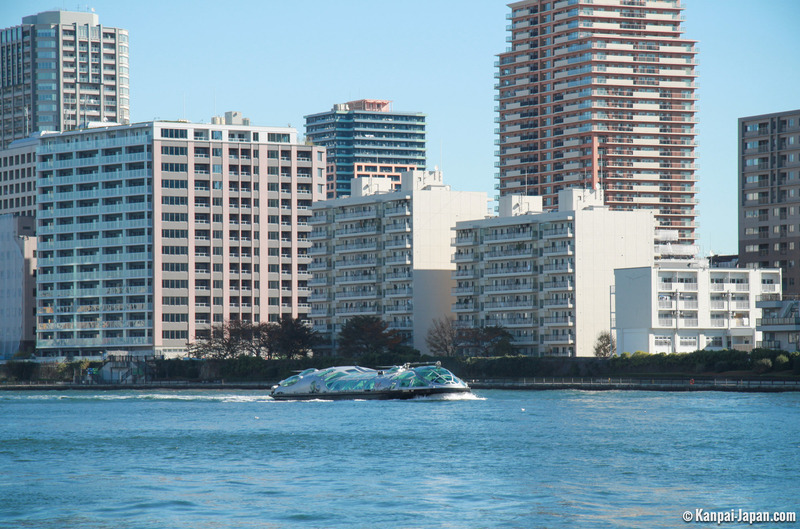 Sumidagawa is very present in Tokyo, and of course cruises are organized, especially by Suijo and its famous "Tokyo Cruise" which includes a dozen shuttles. 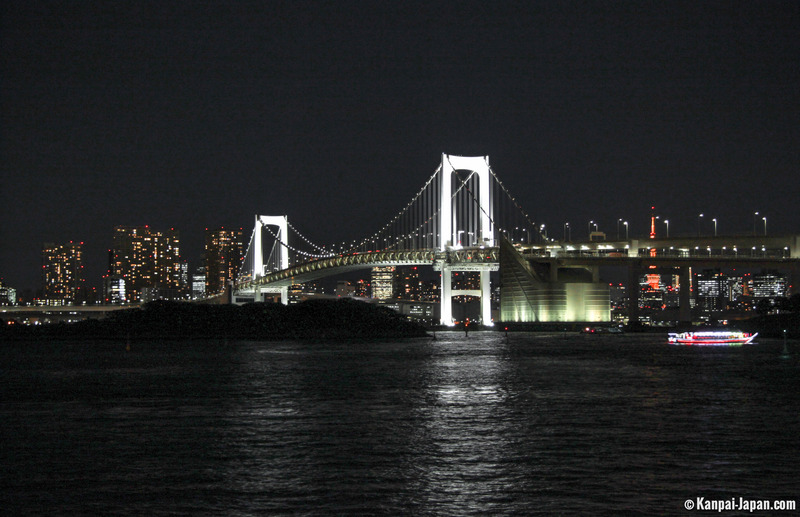 For fans of Japanese popular culture, the most attractive of them is undoubtedly Himiko, named after the eponymous queen. 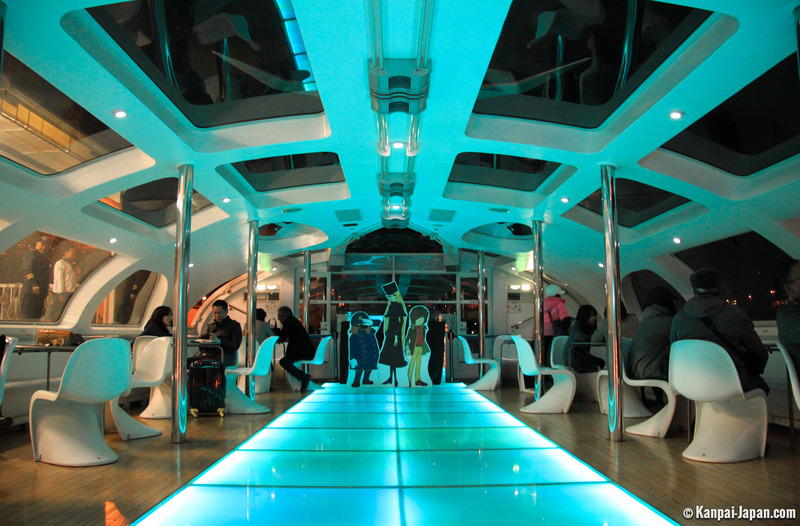 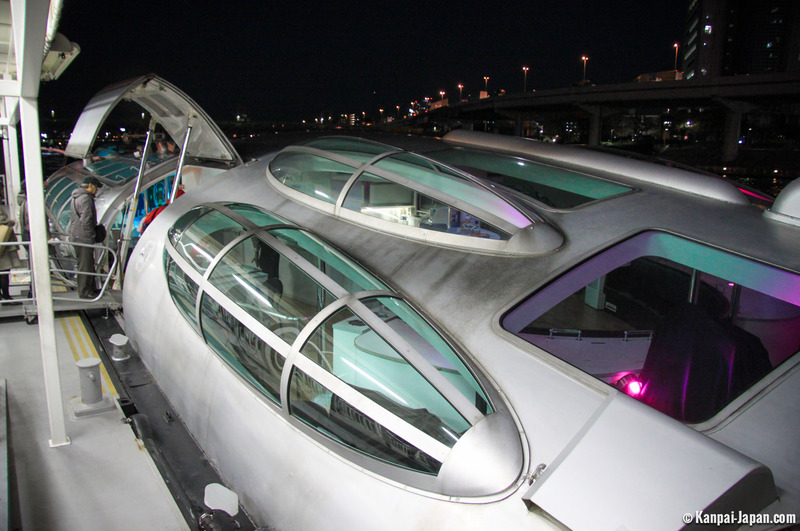 This boat has a peculiarity: it was designed by mangaka Leiji Matsumoto, father of Yamato, Captain Harlock, Galaxy Express or Interstella (for Daft Punk). 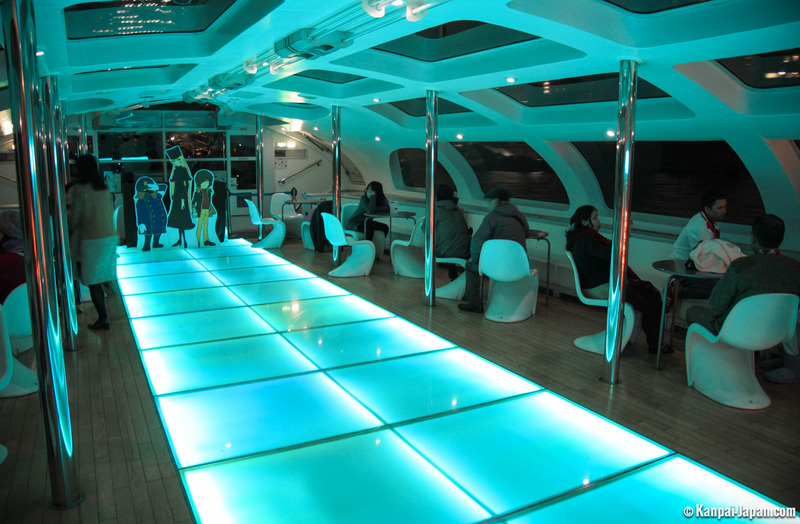 This is what explains the ship's unique design (both outside and inside) and the special atmosphere of the cruise, getting a very strong footprint from its master. 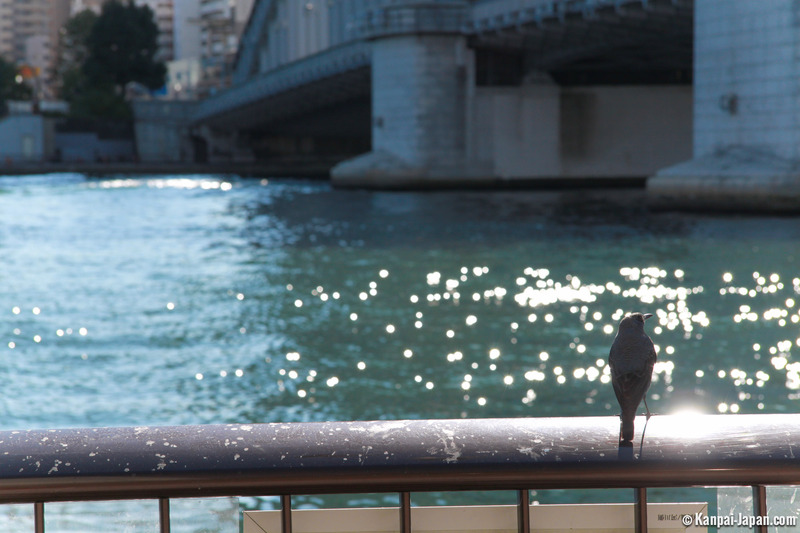 Thus, there are countless keys of his artistic touch, from the glass ceilings and Ginga Tetsudô figures, to commentary made by some of its original voice actors. 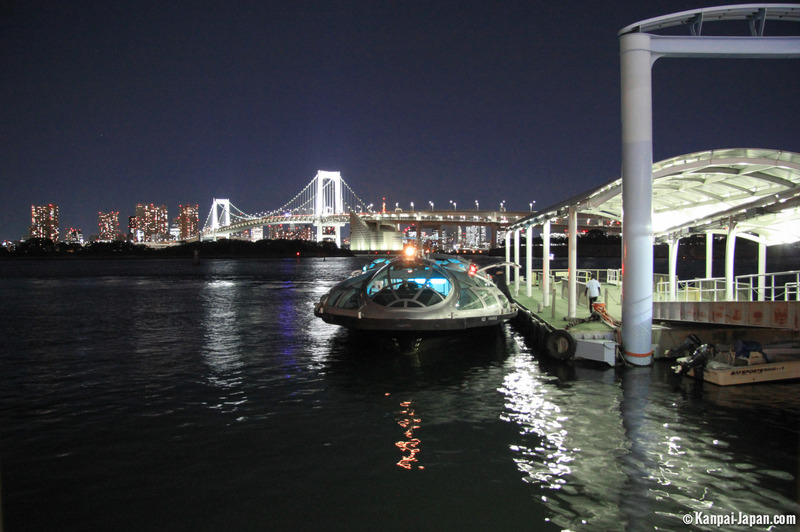 Note that there is a slightly improved version of Himiko boat, called Hotaluna, which allows to go up on the deck if the weather permits. 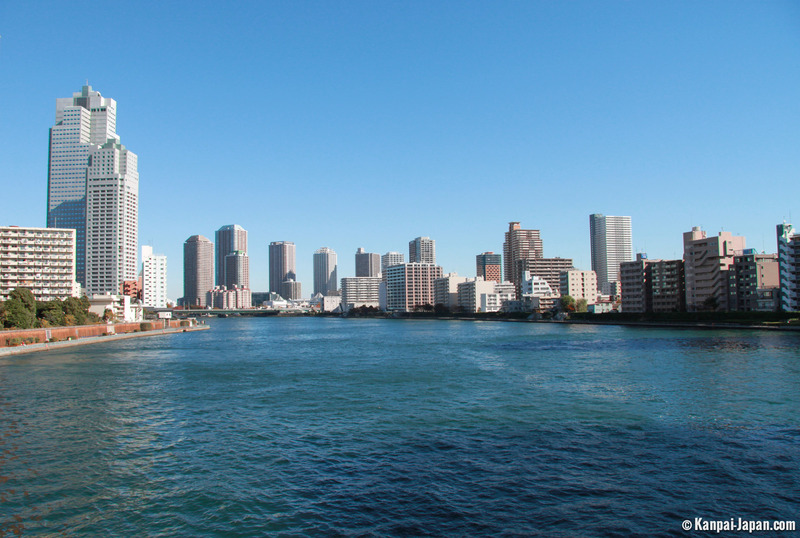 The rate charged to take advantage of this particular trip is not cheap, but it offers a moment to share and allows to cut off a tiring tour of Tokyo. 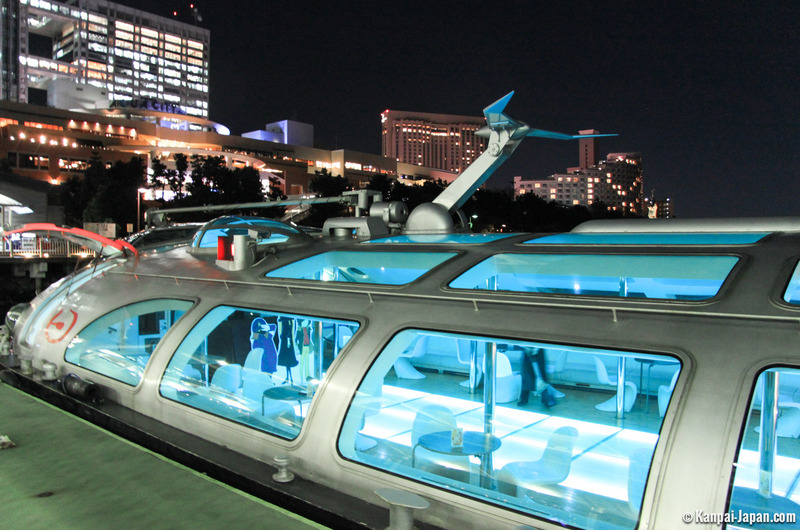 To reach Odaiba from Asakusa for example, this is a fun alternative to train transfers. 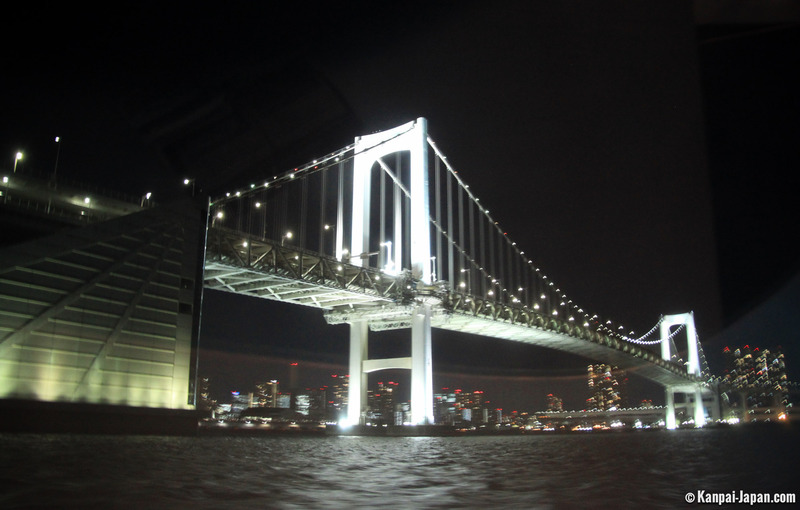 By day, the view is excellent on several monuments and changes the angle of approach.